Learn how simple exercises can increase vibrant health and fitness, in as little as 20 minutes a day. 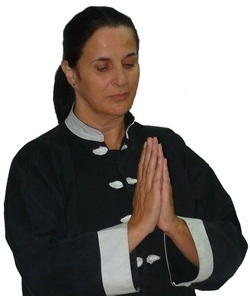 Qigong is the ancient Chinese art of working with energy. For thousands of years the Daoist sages passed down their wisdom and understanding of balancing the body’s energy with movements, mind and breath to meet the many changes life offers. In as little as 20 minutes a day, anyone can practice these simple and effective exercises, making them an enriching, natural part of everyday life. The gentle breathing, stretching and strengthening movements, offer remarkable benefits to those who wish to maintain vibrant health and fitness. Qigong works by activating the Qi (chi) energy and blood circulation in your body, helping to stimulate your immune system, strengthen your internal organs, and gain abundant energy. Lift your spirit, ​soothe your body, mind and emotions. for more 'Dive in to Qigong'. ​Reserve your place in a relaxing morning Qigong class. ​For enquiries tel: 01603 622904. Feel Good! Increase your vitality!